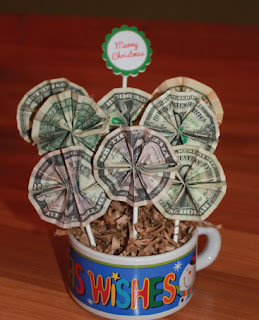 Let us make something special for today, materials need are money (any kind of banknotes), tape and candy sticks, flower pot, shredded paper. 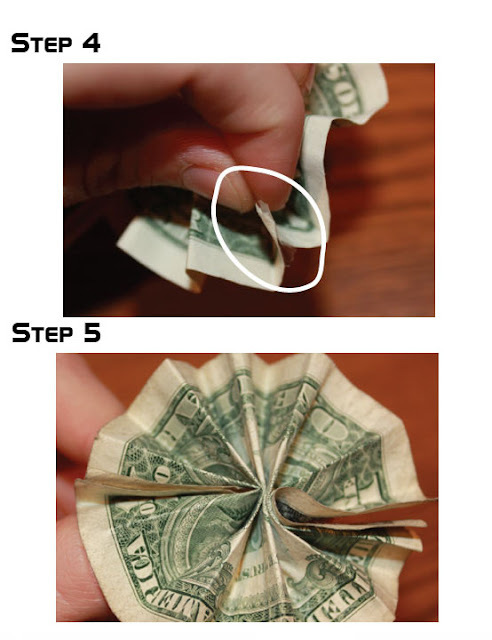 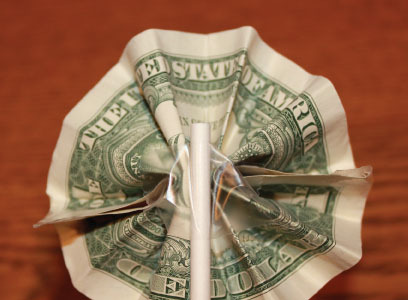 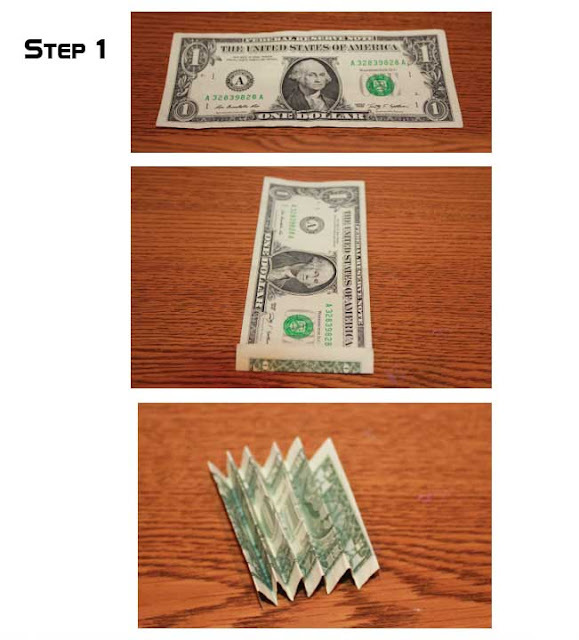 Start with folding the money in accordion style. 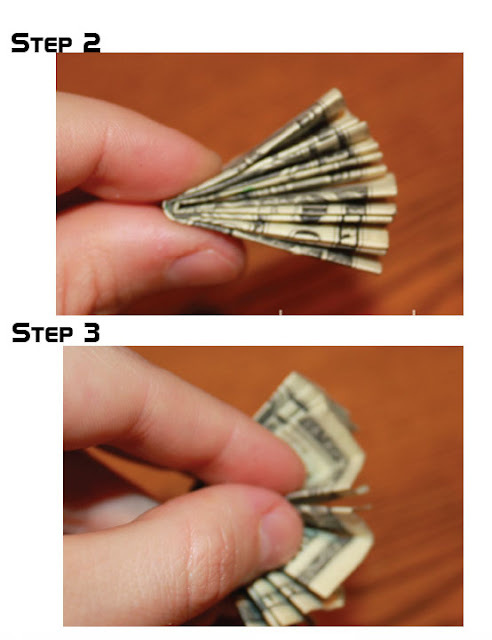 Secure tightly both sides with tape see image below. small pots of your choice.